My Daily News And Views: Surtarang pays tribute to Mahatma Gandhi on his 147th birth anniversary on 2nd October 2016 (Sunday). 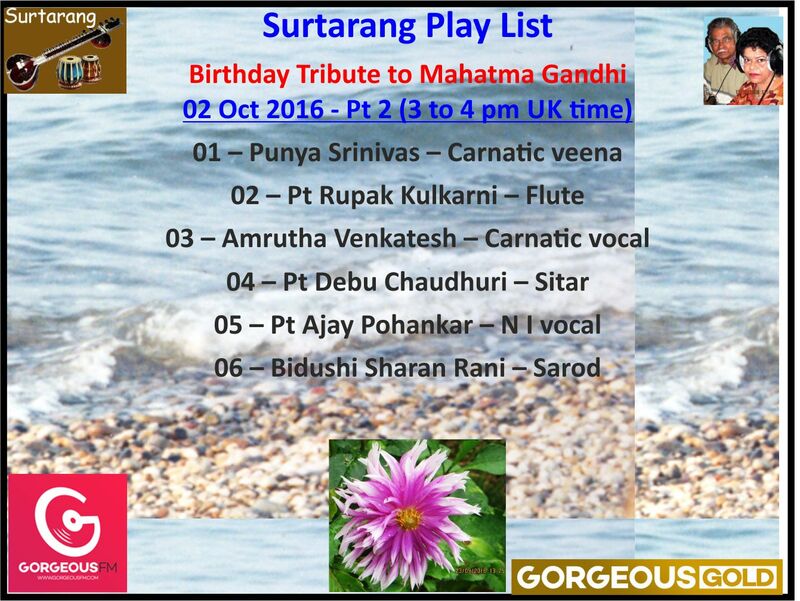 Surtarang pays tribute to Mahatma Gandhi on his 147th birth anniversary on 2nd October 2016 (Sunday). 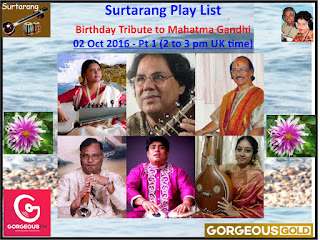 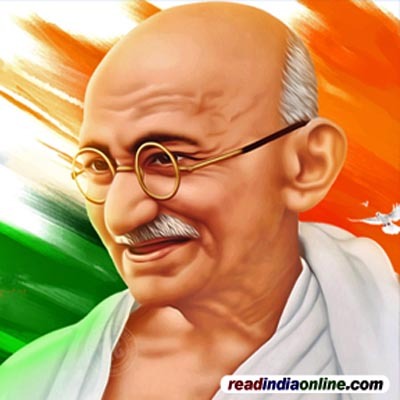 "To celebrate the Gandhi Jayanti with music, Surtarang has planned some impressive music tracks. And the playlist is given below for your reference. All get ready to celebrate the Gandhi Jayanti with Surtarang’s everlasting music. 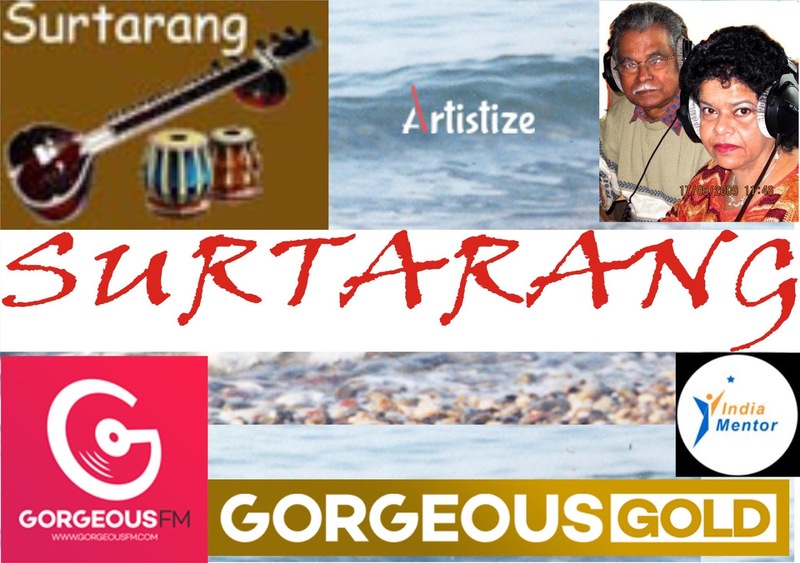 The impressive array of artistes ranging from the renowned Shehnai Maestros like Pt Shambhaji Dhumal to Sitar exponent Pt Debi Prasad Chatterjee and its 2nd hour of broadcast Punya Srinivas of Carnatic Veena to Sarod Bidushi Saran Rani are ready to enchant you with their everlasting Ragas and Talas (beats). 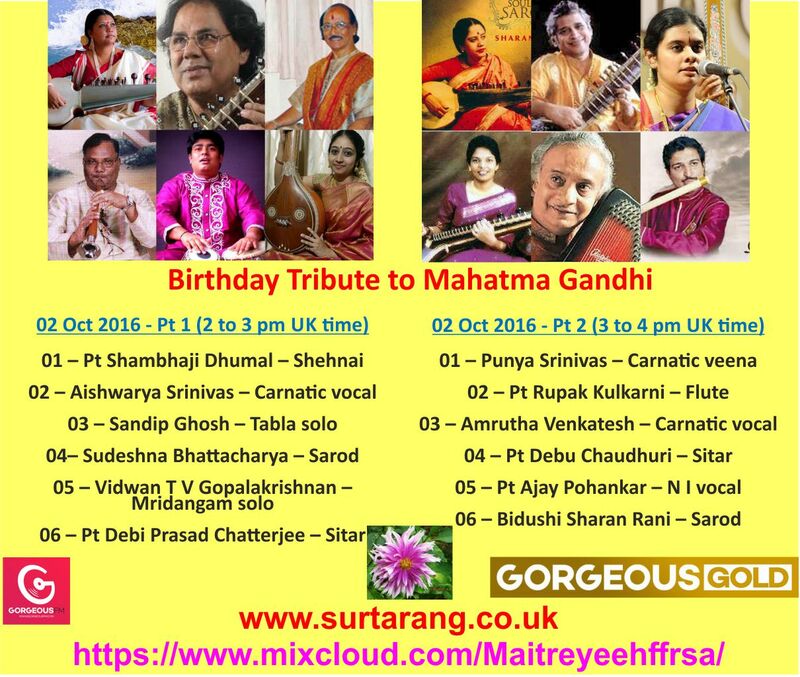 Kindly look at the below-mentioned illustrated charts to know the programmes in detail. 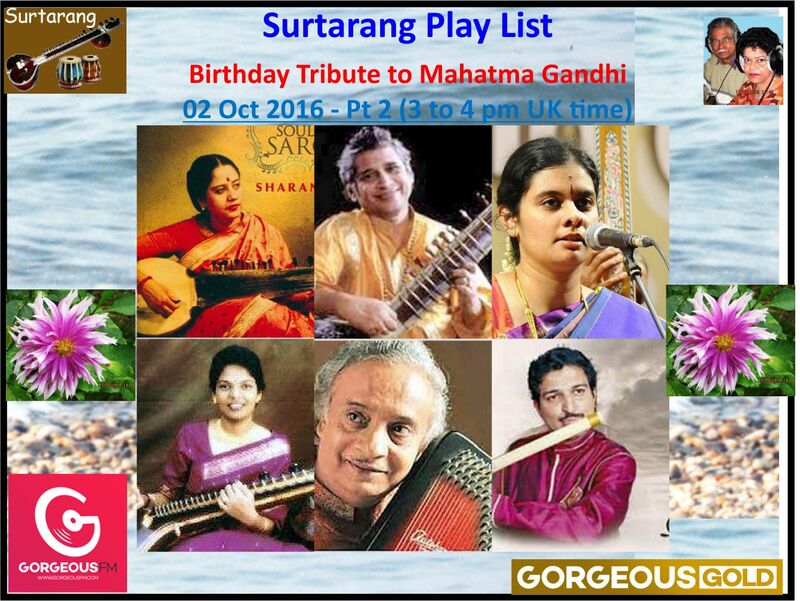 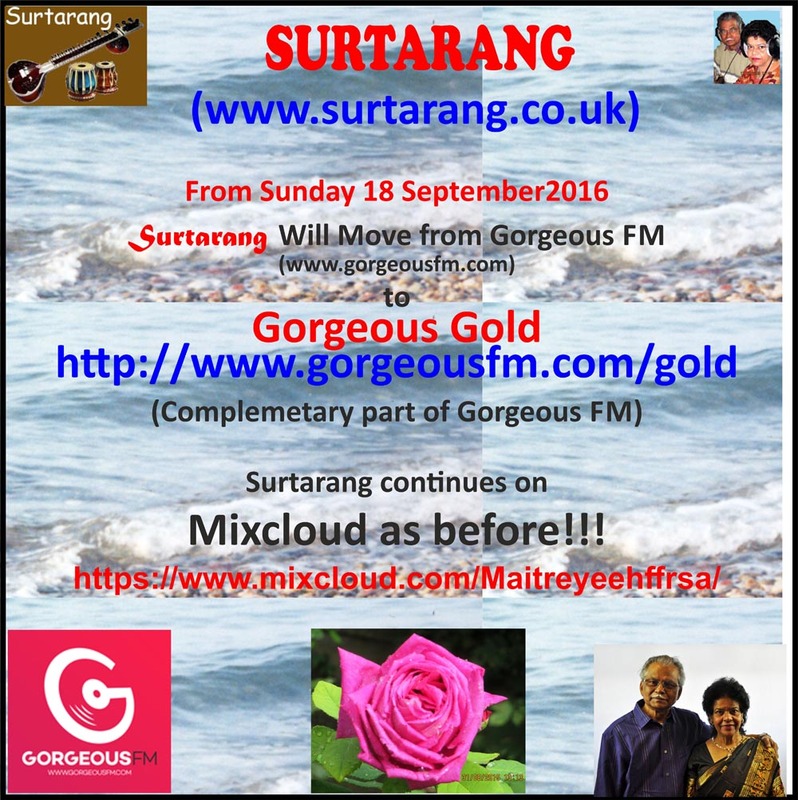 The Surtarang is fully geared-up to give the music lovers a memorable Gandhi Birth Anniversary Special Show."